I went to the local fairgrounds last weekend for a day at the steam show. What’s a steam show, you ask? Like almost everything else, it’s about people getting together. In this case, it’s about people who collect, restore, buy, sell, and tinker with antique engines, machines, tractors, farm equipment, even lawn mowers. I’ve been going to this particular steam show, in Berryville, Virginia, ever since I was old enough to tag along with my dad and granddaddy. 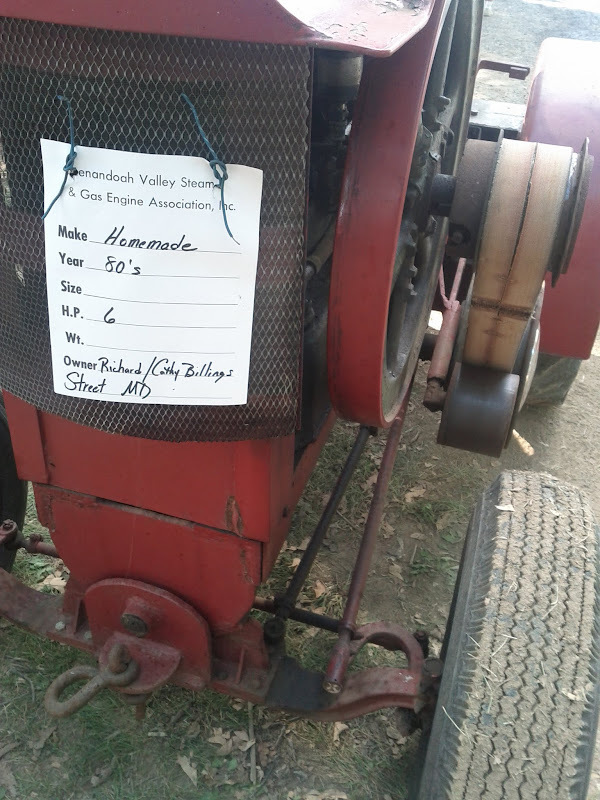 Granddaddy planned the whole trip around the threshing machine demonstration. When he was a boy, he carried water for an engine running a similar machine. For Granddaddy is was about nostalgia. When I was a kid, it was about him and my dad stooping in the summer-dry grass, leaning in and explaining to me how some whirring, popping blunderbuss worked. I nodded my head earnestly, even if I didn’t really quite grasp the concept. I did, however, sense the gravity of that exchange: a birthright was being passed down. Knowledge was being transferred from one generation to the next so that it wouldn’t be lost to history. I’m amazed at how readily it comes back to me as I point and explain to my daughter how one of the old engines works. I realize how useless even these simple things would be without the knowledge to use them properly. Now that I’m grown up I can clearly see the make-do sensibilities of hard working people right there on display. 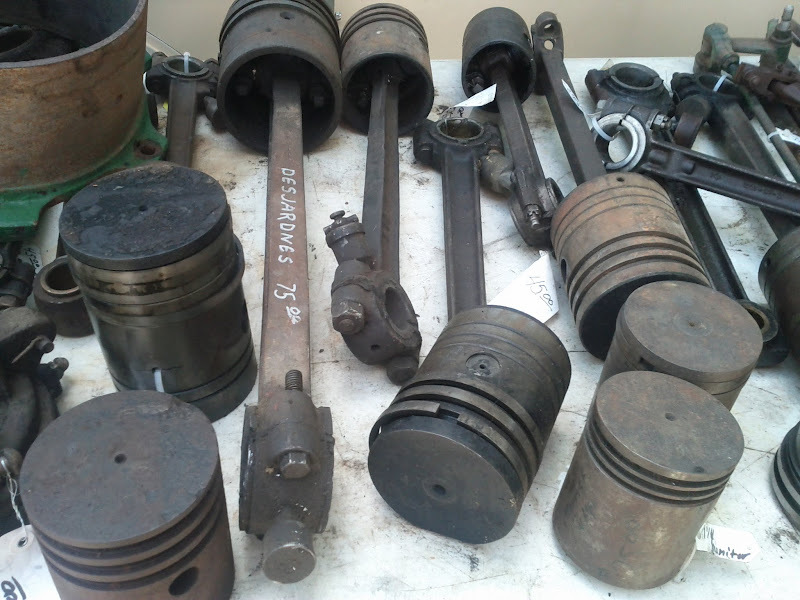 Most of the machines–no matter how old–are still functional. There are a lot of oddities, homemade equipment, and repurposed parts. I’m pretty sure they guys who built them weren’t engineers or professional designers. They just did what worked. The level of craftsmanship is often remarkable, even though it’s clear that form follows function when there are chores to be done. 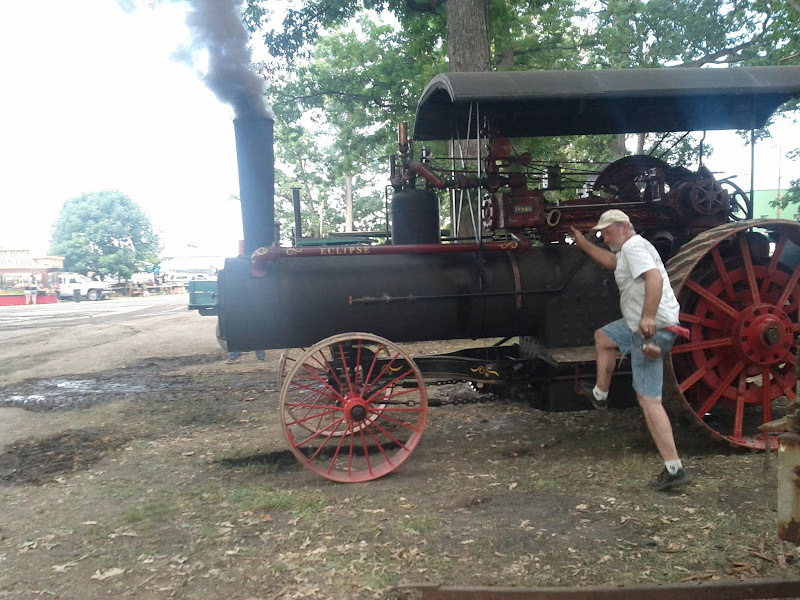 As I stroll around the fairgrounds with my daughter, I can see the industrial revolution steaming by right in front of me. It’s so close I can feel the sizzling heat of its boiler and smell the red-hot coke in its iron belly. Things and methods that changed everything over 100 years ago are still alive here, still being used today. “25 Horsepower,” one machine proudly declares with stylized numbers cast into it’s boiler in high relief. 125 years ago, 25 horses would have demanded a lot of food, water, space, and attention. Here was all that power packed into a relatively small form factor that could be parked in the shed at night. In the morning, it was ready to go again all day long. Even in the midst of all this industrial age technology, as evening approaches, teams of massive work horses arrive to compete in the horse pull. As I watch, my mind is cast even further back to pre-industrial times when men and animals worked the land together. Then, I’m snapped back to the present as a modern tractor arrives to drag the weighted sled back into place after each horse team completes its pull. The 10,000-pound machine strains to tug the 7,500-pound sled down the dusty track, the same sled that the 4,300-pound pair of horses dragged with what seemed like just a little effort. As the horse pull wraps up, I turn to Katelyn, assuming she’ll be ready to go. “Can we go walk around and see the motors one more time?” she pleads. I hoist her onto my shoulders and she begins to repeat some of the things I’ve taught her throughout the day. I think of my granddaddy beaming when he realized how interested I was in these things. I know she won’t remember this stuff for ever. She probably won’t even be all that interested in antique engines and tractors and such. It’s passing on the knowledge that matters.